Hey there, loyal readers! Welcome to the Special April Announcement Edition of Unveiled! We've got big, big news for you today. While we wouldn't call this a significant directional shift, we do have a whole bunch of things to announce. All of these are super exciting because it will allow us to do some incredible stuff that I know you've been hoping for. Some of these idears may surprise you, others excite you, and still others get you all pumped up, but the one thing we want to make sure you do is: get HYPED! Andrew Meggs would like you all to know that your concerns about pay-to-win have been heard. And we're doing you one better! Our next Stretch Goal, now confirmed, will provide donors whose total equals $5k or above with a "WINNER" tag underneath their character nameplate. All others will receive a non-optional "LOSER" tag. The CUCCS will feature: a) temporary weapon buffs; b) temporary armor buffs; c) temporary spell buffs; d) temporary race buffs that allows the player to turn into super-heroes; d) potions that instantly restore health and so much more. Access to the CUCCS will be an additional paid feature of the game and will come at the low monthly cost of $9.89. However, Backers who sign up immediately will also get additional access to the development team, a direct line to Mr. M’doff and a “piece of the action” from every other Backer they can sucker convince to join the program. Fellow backers, have you experienced such games where UI was minimal and emphasis was on watching your opponent and their appearance, their stance, or the skill/spell they were casting? Good question, Hellraise! After careful consideration and feedback from our Backers, we have decided to go in a totally new direction. The MUDUI (Massively Unifying Direct User Interface) will enable players to have a completely visceral experience without a traditional UI at all! In our unique system, you can increase the strength in your fingers by expressing all your actions in text! Our Crafters will really enjoy this experience as they create never before seen items, and builders will have unlimited material choices in the near future. Are you a combat character? Now you too can enter RVR combat with the written word which is, after all, mightier than the sword. Using your imaginations, you can now look like, sound like, and play as anything you want! Your experience is only limited by your mind. We will, however, be strictly controlling the type of combat in the MUDUI by allowing the words, "fight, kill, stop, please, you, and stealth" only at limited times on the server. Details to be revealed soon. As most of you know, stealth has been a major design concern for Camelot Unchained ever since the Kickstarter campaign; check out this video. We have had a lot of discussions both on our forums and here in the office about different ideas for what would be the best direction to take stealth, both for players who want to play stealth classes, and those who will be playing with and against them. I'm happy to be able to announce that after all that consideration we are finally ready to officially announce stealth as an additional class archetype for CU. One of the biggest requests we've received is to make sure our new ideas for stealth don't erode the core gameplay of what its like to be a stealther in a fantasy MMORPG. As such we have cut back on some of the more BSC features like removing strong attacks for initiating from stealth in order to focus more on the traditional stealth assassin role. Stealth classes will be by far the best at one-on-one engagements, relying on strong control abilities to reduce their single target's ability to fight back and allowing them to keep the upper hand even after they have exhausted their strong opening attack. Additionally, we have decided against strong movement and duration penalties for stealth, allowing stealthers to move quickly and invisibly over the battlefield until they get in close proximity to their targets, at which time they may choose to slow down in order to reduce the range at which they can be detected before they emerge to assassinate their target. Stealthers do still use the Veil to move around unseen, meaning stealthers are only invisible to other players not in stealth, and that they will usually prefer non-metal armor as the noise and Veil disturbance makes sneaking around and exiting the Veil without penalty more difficult. Once a stealth class is made available for testing in each Realm, there will be a new stealth pledge tier available in our store, which you will have to purchase in order to try one out. We feel that this will help keep the initial number of stealthers down, while proving the commitment to stealth that our backers have for making this extra donation in order to participate in stealth testing. As always if you'd like to discuss more about stealth in Camelot Unchained, head over to the forums on our website and let us know what you think. As part of this April Overhaul of our game, I’m proud to announce that we are creating our first ever CSE Gold Selling Program. The GSP is a revolutionary solution to the age-old problem of dealing with gold sellers and spammers in our game. I know that our Backers will be behind us with this idea. We’re all tired of seeing Gold Spam, Level Spam, etc. in our MMORPGs aren’t we? So, we’ve decided that we are just going to cut out the middle men/women and just do these things ourselves! 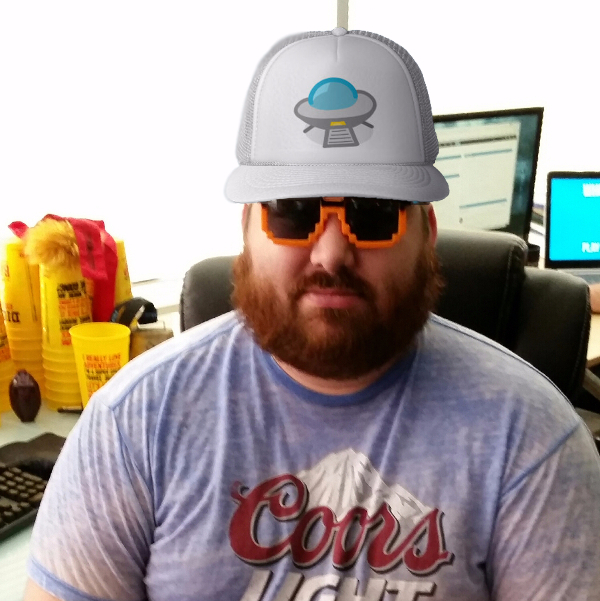 After much reflection, we have come to the conclusion that building our own 3D client was a terrible mistake. While our engine easily supported over a thousand Backers and Bots during our last test, that wasn’t good enough for Camelot Unchained, and for our beloved Backers. "Our philosophy of achieving scalability through eliminating overhead was spot-on, but the problem was that we didn't go far enough," said Andrew Meggs, co-founder, City State Entertainment. "We have to go deeper," he continued, "and so we're taking our engine philosophy from the most important and groundbreaking game in history: Pong." Consequently, we're delighted to announce the complete convergence of our very popular C.U.B.E. building system with all of our character art. Finally we can unlock the tremendous performance potential of the engine by drawing all characters as the ever-iconic rectangular block. Thanks to this revolutionary technology, we're also able to add support for the PlayStation One, the Atari 2600, and Intel 286 processors. Look for the opportunity to "Be The CUBE" soon, starting with our new block-centric role-playing servers. I remember when I was a young and foolish game developer. I offered to write patch notes once, and now I have to do it every time. What do I do after I put in the new ability system? Patch notes. What do I do after I fix some bugs? Patch notes. What do I do after I read a list of changes? Patch notes. What do I do after I eat lunch? Patch notes. What do I do after I write up patch notes? Patch notes. The cycle never ends. My next big task is to write patch notes that become sentient and write their own patch notes. Then I can retire to the beach. But, I don't mind writing patch notes. Patch notes are love. Patch notes are civilization. Patch notes are life. And, as always, a selection of patch notes! * Added an incarnation of the universal trickster spirit to the game. It randomly causes bugs, but the bugs should often be ironically appropriate and teach a life lesson. * New combat system! 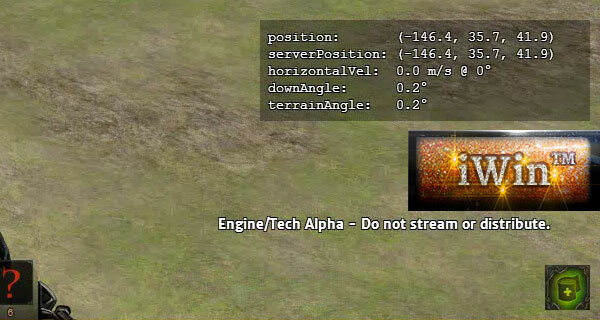 Minimum system specs will require a webcam and dice to determine chance to hit and damage. Special gold-plated dice will be available in the credit card shop that give bonuses to all rolls. * Added a weather system to match the weather in beautiful downtown Fairfax. Really, it's just a random number generator where 90% of the time the weather is awful. You, too, can get absurdly excited when the temperatures gets above 60F this time of year. * Fixed a bug where some people were able to log into the game. Now nobody will be able to log in. * I need more Steam games. For research. * Something about spaceships, I think? After mentioning it, people just laugh maniacally and talk about stuff they want to buy. It's hard to get any details. Over the last decade, the MMORPG industry has seen a sea change as the move from subscription-based gaming to Free-to-Play gaming has accelerated. As part of our plans for launch, we initially focused on different rule sets such as Roleplaying and Free-for-all. However, due to the Backer demand and the continued evolution of the industry, we have decided on another rule set for the game, Limited Time, Pay To Win. On this server, all players will start on an equal footing with a “normal” server, except that these servers will have a limited time length, a concept based on co-founder Mark Jacobs' old Galaxy game from the GEnie days. Also, anyone who plays on these servers will have a special “iWin™” button on their client. Every time they push that button, their credit card will be dinged for the low, low price of $4.95. The first time they do that, an entry into an ongoing auction for the “Master of my domain” relic will be entered for them. And every other time they push that button, their bid will increase. When the bid reaches the price set by CSE for the relic, the relic will be delivered to the winner. All losing bids will be returned to the other players except for a small service fee which is currently planned to be about 30%. What do you think? Join us on the forums on our website to talk more! Bark of the fearsome – A devastating debuff that affects all Cait Sidhe only. Strut of the pretty – When the Poodl’elic’iou~s visits a special “grooming center” and pays $4.95, they will automatically cast a debuff on all attackers they will reduce their chance to hit. Don’t lock me up bro!- Poodl’elic’iou~sians who don’t purchase and update their “CU Tag” will have a chance to be caught by the local animal warden and thrown in jail. To get out, players can either pay $.95 per point of health or dig themselves out of jail. Gotta go, gotta go, gotta go! - Poodl’elic’iou~sians are subject to a unique debuff that requires them to find a convenient fire hydrant to piss on. However, for the sake of convenience, players can buy the “Port-a-potty” for only $49.95. However, this PaP is not character locked and the first 1000 players who buy one will also receive a special set of steak knives and fishing gear! From the mind of creator Mark Jacobs, through the fingers of Loremaster Max Porter, comes the first part of a truly epic Becoming(TM) tale for one of our newest races. "Gather round, my beloved pups." The martriarch waved her fluffy arms wearily, for her children were quite rambunctious today. The small pups did as they were told, their eyes wide and tongues hanging out in the summer heat. "I shall tell you the story, now," the matriarch continued, "That you may remember it all your days, and tell it to your own pups, one day." 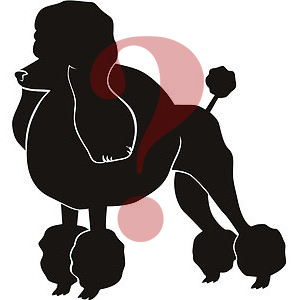 Once, long ago, poodles were but the servants of their bipedal masters. They lived and worked, pampered and groomed, among the mighty humans. They were happy, but something nagged at the back of their animal brains; a feeling that all was not right, that all was not as it should be. Somehow, the poodles knew they were meant for more, were meant to do great things far beyond the scope of what any of their masters could imagine. It was a dark and stormy night when Poodar, beloved pet of a great king, awoke deep in the night. Rising from his pink bed with a jingle, Poodar walked through the dark halls. He was impelled by a force, he knew not how. It was just something he needed to do, like piddling outside as his master had taught him. Unbeknownst to anyone, the storm outside had become really really bad. It smelled like a Malevolence to Poodar. Driven by that same mysterious force, he nosed the door open and ventured outside. We just can’t let you go without one more exciting announcement. Ever since the initial reveal of the Cait Sith, there have been an overwhelming number of requests for more anthropomorphic animal races. Today we are announcing another of our newest races for Camelot Unchained: the Were-Platypus. Unlike normal races, players only become a Were-Platypus when bitten by another Were-Platypus, or if the Were-Platypus Projenetor Boon is selected at character creation. Players who are afflicted with Were-Platypusism become a Were-Platypus only during certain times, such as during phases of the moons, or during veilstorms. 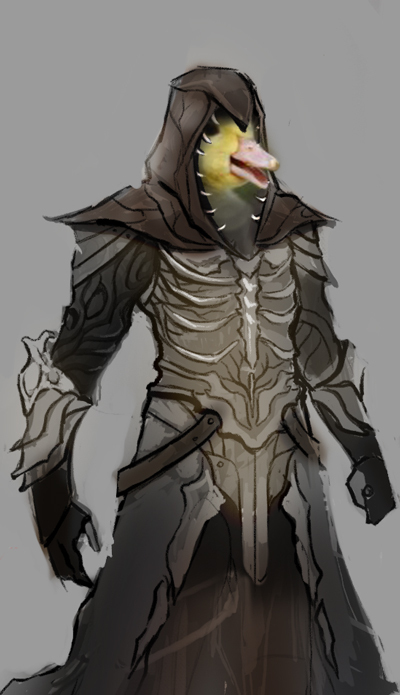 This modifies the character's stats to those of the Were-Platypus race, and grants them special abilities such as Tail Thwap and Infectious Bite. There are also unique abilities reserved for use in Platypus vs. Platypus (PvP) battles, which make these encounters especially challenging. The Were-Platypus state may not always be desirable however as Were-Platypuses lose all benefits from equipment and the ability to use weapons due to their ridiculous body shape and lack of thumbs. Players who are not Were-Platypus Projenetors may with some effort cure their Were-Platypusism by seeking out a rare cure potion only found deep in the depths. Players should keep in mind however that the cure may not always be successful, and may lead to many unintended side effects (be sure and consult your apothecary before use of Were-Platypus cure). Though it may take some time before this feature makes it's way into testing, expect another update with more information by about this time next year. Below is some initial concept art for the amazing Were-Platypus. Enjoy! ...Did you check the date? Happy April Fool's Day! Hope we gave you some laughs! Copyright © 2015 City State Entertainment LLC. All rights reserved. You are receiving this email because you are a Backer of Camelot Unchained, or have subscribed to our newsletter.